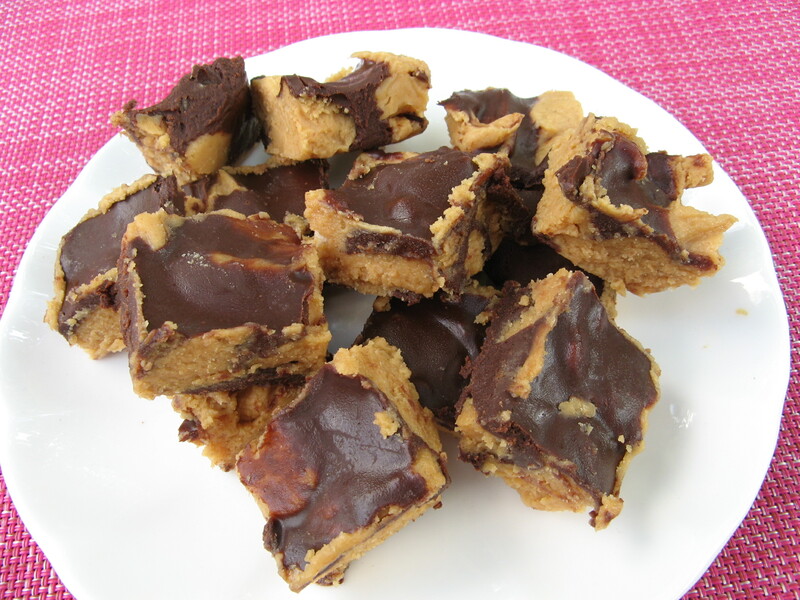 Peanut Butter & Chocolate… One of my favorite combinations, so when I saw a quick and simple recipe for a marble fudge combining the two in a recent issue of Rachael Ray Magazine, I knew I had to try it. And then dropped the mixture by teaspoonfuls into a foil-lined loaf pan. In a medium saucepan I melted dark chocolate chips along with heavy cream. 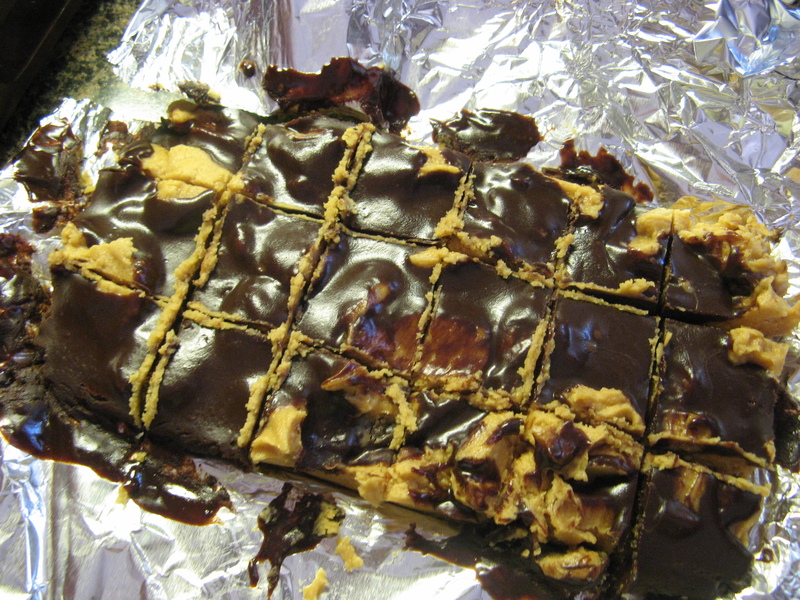 I then poured the melted chocolate mixture over the peanut butter mixture and placed it in the refrigerator for a few hours so it could firm up. After about fours I removed it from the refrigerator and lifted the fudge out of the pan and sliced it into 18 pieces. Since the peanut butter was still a bit soft I place it in the freezer for about fifteen minutes, enjoyed a piece and then put it back in the refrigerator. While this fudge didn’t disappoint in the flavor department I was bit upset about how quickly it would soften/melt once out of the refrigerator for a few minutes. That only meant I had to enjoy this sweet treat immediately after taking one out of the refrigerator! Check out some of my previous blog posts with this delicious flavor combination: Peanut Butter & Chocolate Marbled Cookies, Peanut Butter Cupcakes with Chocolate Frosting and Peanut Butter Cup Ice Cream. 2. 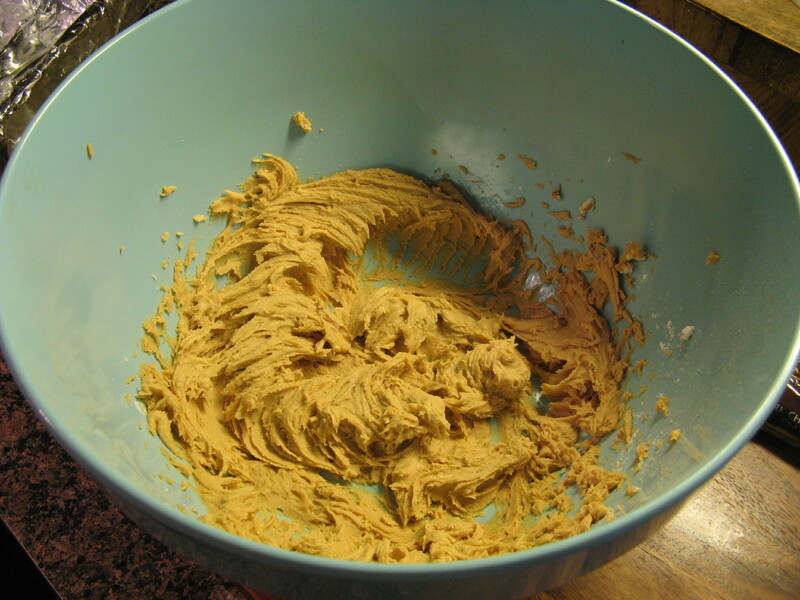 In a large bowl beat together the peanut butter, sugar, cream cheese, butter and vanilla extract until well combined. Drop by teaspoonful into prepared loaf pan. 3. 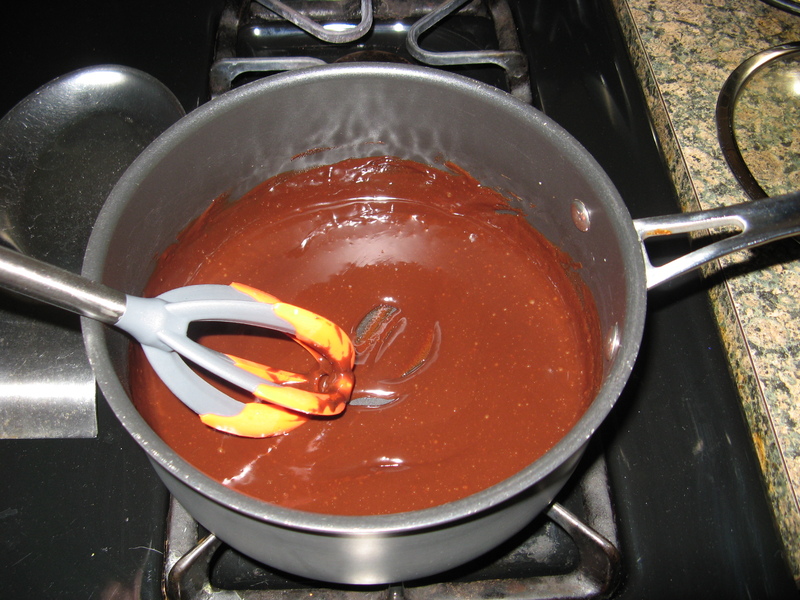 In a medium saucepan melt the chocolate with the heavy cream over medium heat, whisking until smooth. 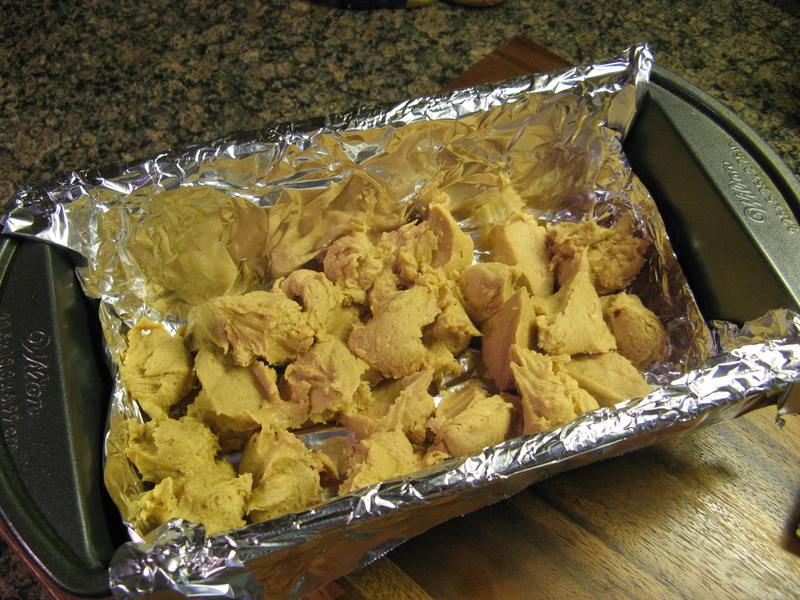 Pour it over the peanut butter mixture and refrigerate for at least four hours. 4. 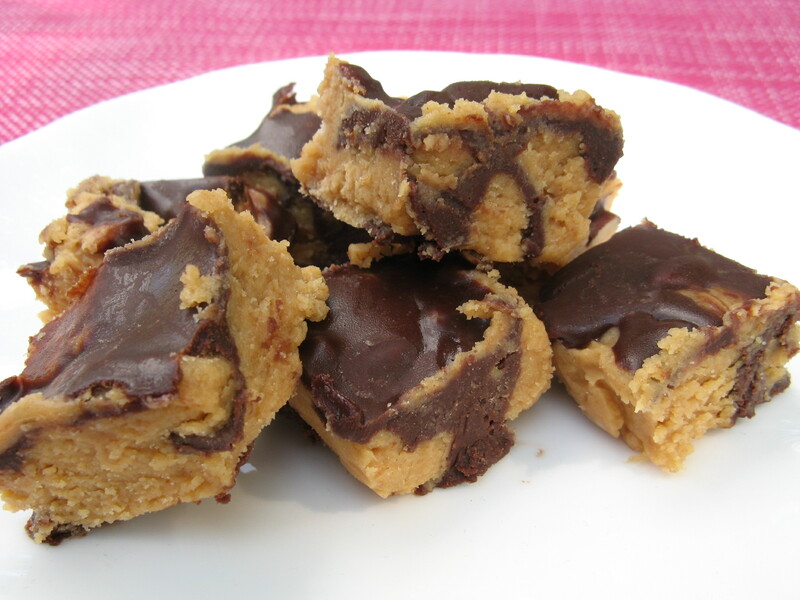 Remove from refrigerator and lift the fudge out of the pan and slice into 18 1-inch squares. 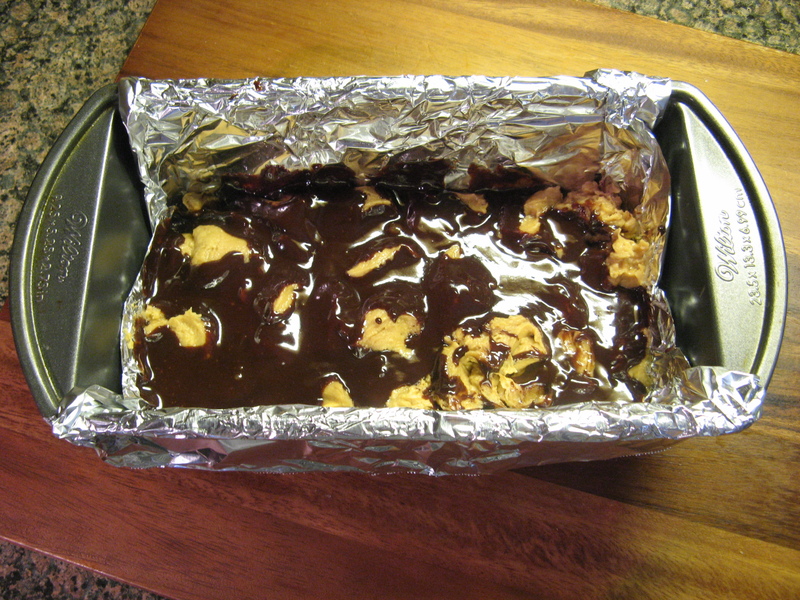 If you find the fudge is still soft place in the freezer for a few minutes. Keep refrigerated.